I am often asked about how to repair a broken snow globe. Until now, this has been difficult or impossible for glass-cutting balls since there were hardly any replacement balls in the right shape and size in the German market. Now we have these glasses for repairing. I am often asked how to get air bubbles from snow globes. Here I show the different possibilities. – plastic snow globes: often have a fill opening below, through which you can simply fill new (distilled!) Water. The easiest way is to use a syringe. It is best to spray directly into the air bubble. – Snow Globes with Music Box: For this I have a video! The video shows how to repair a snow globe with a bubble. It is important that the snow globe has a music box below, otherwise you will not get to the inner life of the ball. First you have to remove the music box, put on glue sticks and wait a little. Then add water to the edge of the rubber with a syringe. Do not use distilled water. The video shows exactly how it works. – Glass snow globe without music box: Here you have to glue the glass ball from the base with Klebelöser. Then you go the same way, as with the variant with music box. 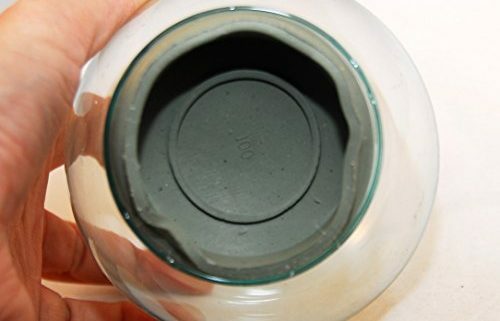 At the end, fill the filled ball back into the base. Please note the indicated foot measurements in the photos. The dimensions in the article description refer to the diameter of the ball. A customer has provided me with photos of his snow globe repair. It is about the (now sold out) Hummel-Schneekugel “Geborgen-Junge”. 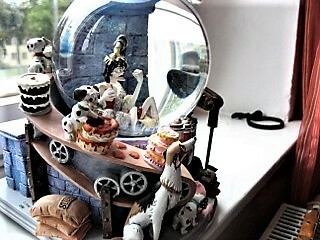 Find more information on how to repair a snow globe hier. The customer is an enthusiastic collector of Disney snow balls. Since these are often only to be bought in the USA, they have to make the long way to Germany. This ball came with broken glass. But with the replacement glass from the Schneekugelhaus the ball could be completely restored.